When I started photographing in 2007, I would have deleted this shot as a failure. Now I love it - never mind that it was an accident that the girl in front walked into the shot as I took it. 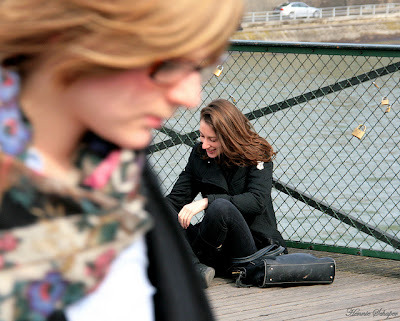 This was taken at the Paris Pont des Arts near the Louvre.